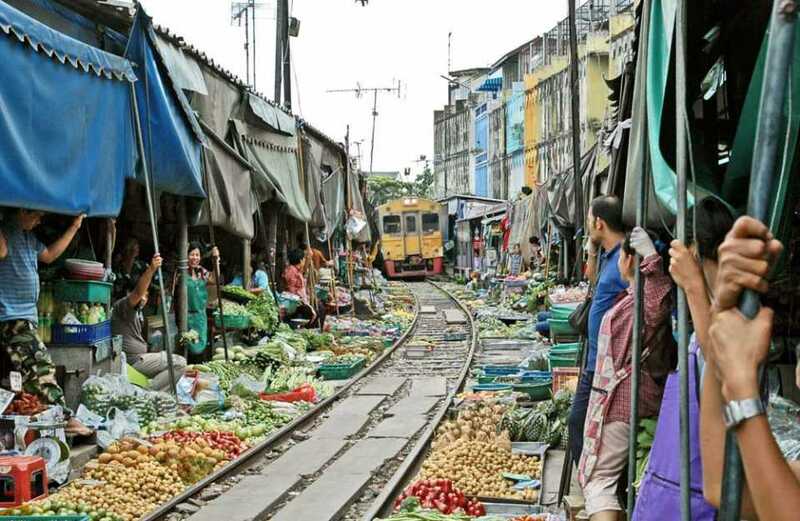 The locals claim that this market has actually expanded from the backside of the central market where the railway track is located. 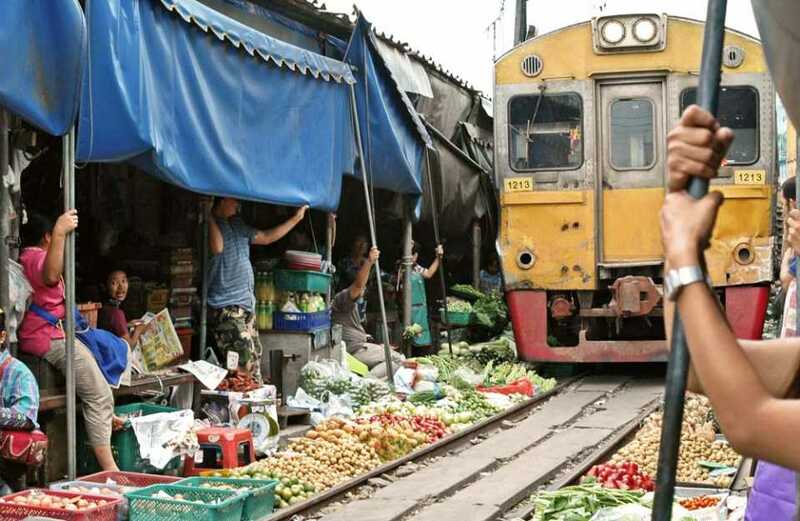 The track ends at nearby Mae-Klong railway station which is considered a transit hub for travelers from other areas. 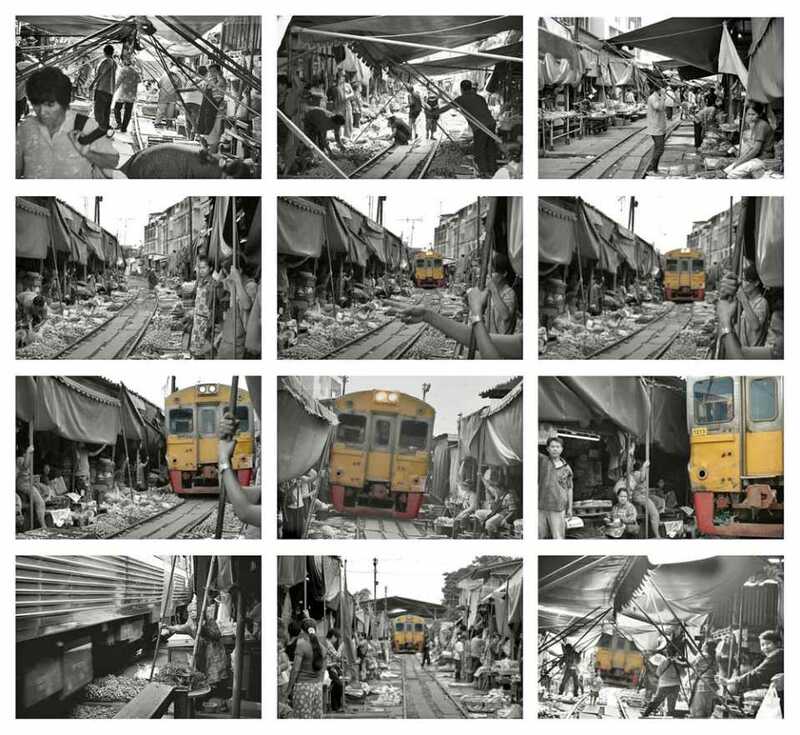 This constant influx of passengers, and the resulting mass of people, effected a gradual transformation of the area into a small market which runs along the track. 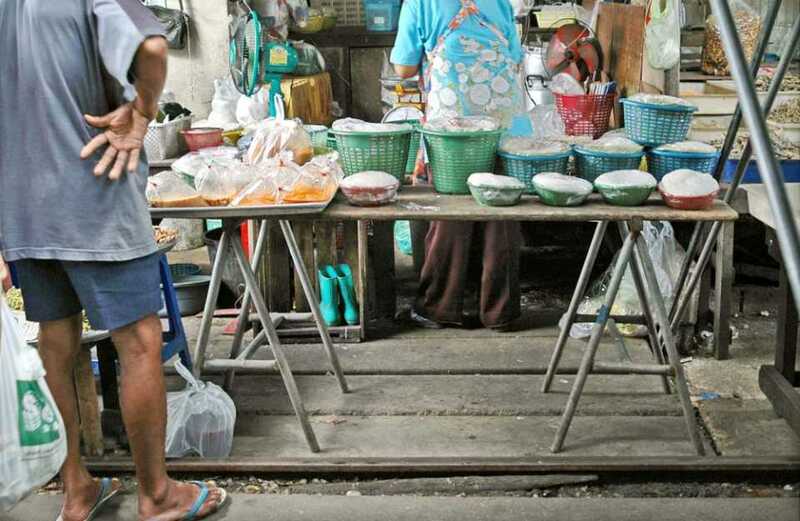 People come to trade their products converting the area into a de facto commercial node. Subsequently, temporary stalls and structures were erected and started to sprawl further, until the space finally became Rom-Hoob market as we see it today (1). There is no definite entrance to Rom-Hoob market. 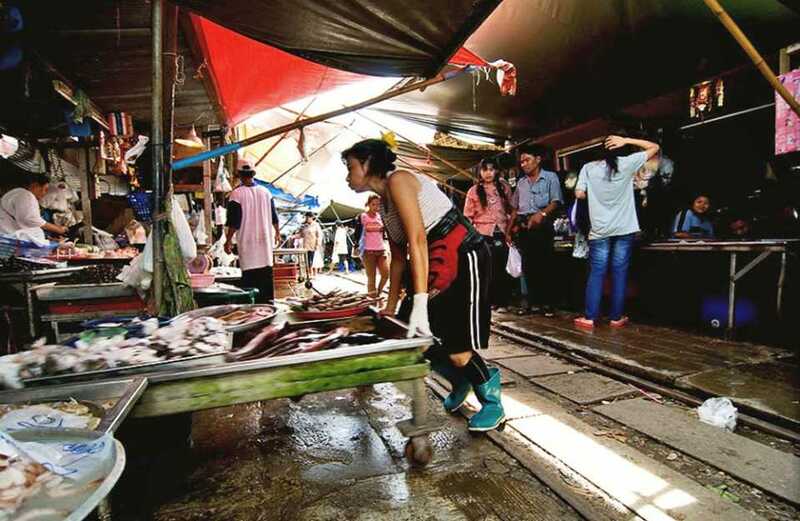 People can, and do, access it at the beginning of the market (next to Mae-Klong station) or through small passageways which are situated at oblique angles through the market and connect the main road with the central market. 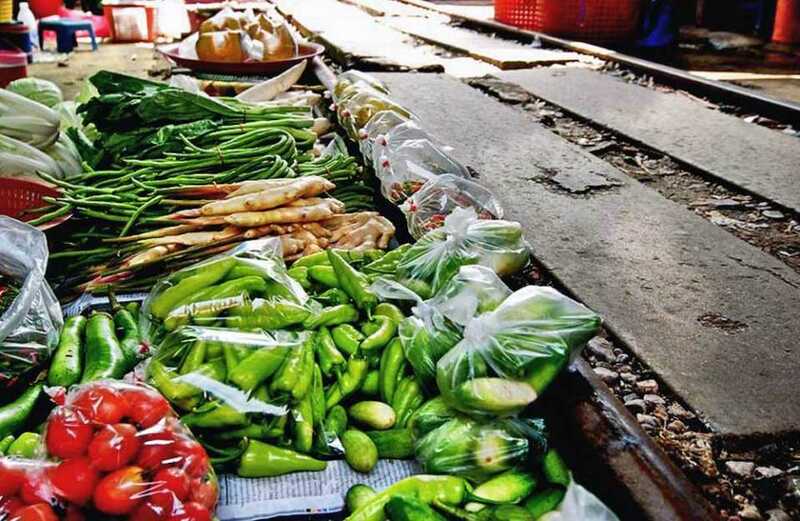 All stalls are set up next to the railway track with out-stretching sun-shades that informally establish a defined corridor through the whole market. The track is then transformed in this manner into a footpath. The sun-shade is simply improvised from a tent sheet, ropes, a bamboo pole, a steel post and whatever else locals can find at the site. The entire structure is simply designed and constructed by locals. It is easy to operate and can be collapsed by just one to two people. 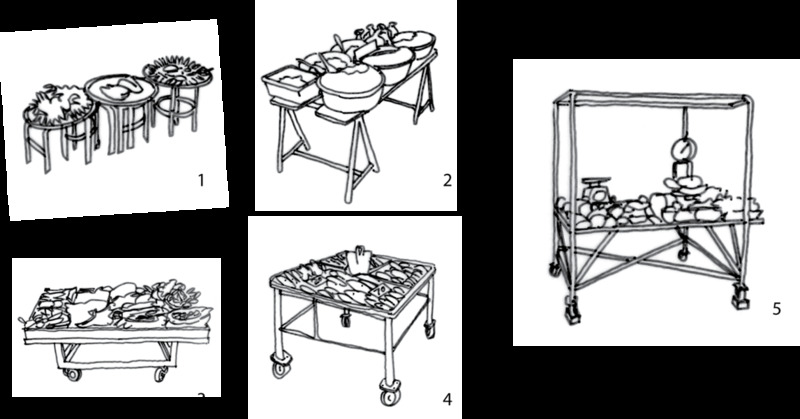 After assembly, the tent sheet can be stretched out up to 2 meters in length and lifted up to 2-3 meters high. 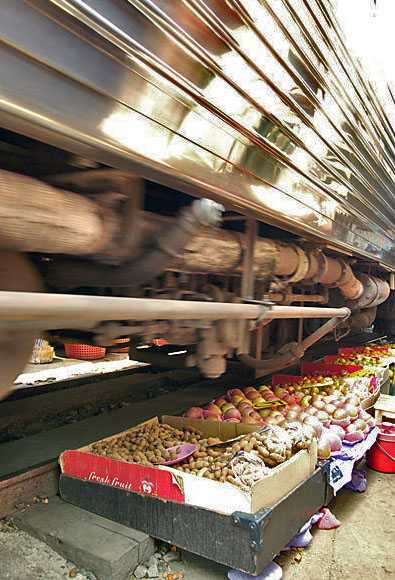 Interestingly, the sun-shade attached to each stall and its stands are designed to be able to close and move each time the train passes through (6 times daily).